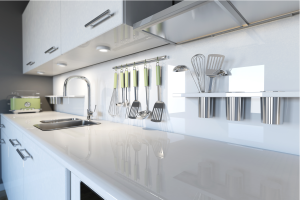 A kitchen typically gets quite a beating over its lifetime, so it makes sense to adopt a preventative maintenance routine to keep the wear and tear down to a minimum. 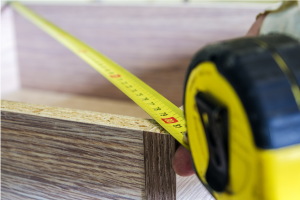 MDF (Medium Density Fibreboard) is one of the most common materials used for making kitchen cabinets, largely because it’s so cost-effective. 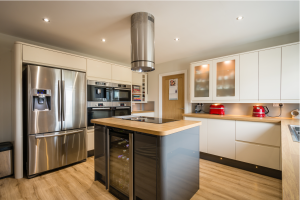 Natural wood products might be among the most expensive materials to use for kitchen cabinets, but they undoubtedly offer greater durability and, to many people, greater aesthetic appeal. 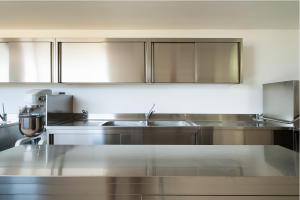 Metal is the material of choice in commercial kitchens, the obvious reason being that it is extremely durable and easy to clean. 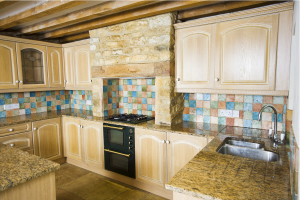 Thermofoil is a type of surface finish applied to the underlying engineered wood or MDF. A type of polymer, thermofoil finishes are popular because they offer excellent durability. 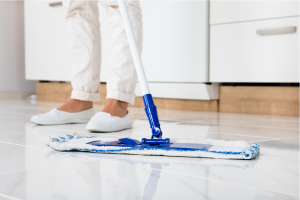 Glass easily collects visible dirt, particularly in the kitchen, but you need to take extra care when caring of glass cabinet doors. 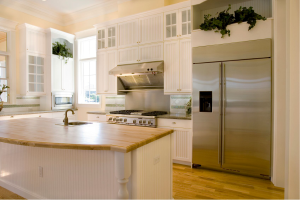 These durable, manmade countertops typically consist of a strong particle board surrounded by a protective layer of laminate. 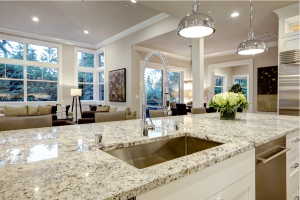 Quartz, granite and marble are entirely natural products and, as such, always have their own unique characteristics, such as natural pitting and mineral deposits. With most modern kitchens, you can easily adjust the hinges on each of the cabinet doors to fine-tune their positioning. 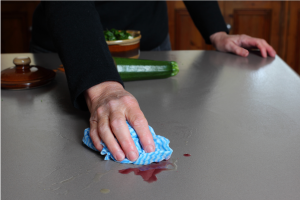 By promptly dealing with any spills or greasy stains, there’ll be a greatly reduced chance of water seeping into things like wooden cabinets and causing swelling, cracking or mould. 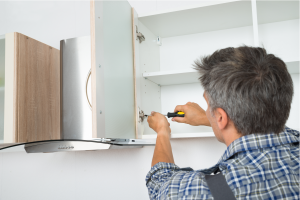 Are you looking for a tradesman for your next Home Improvement? 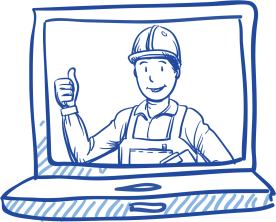 We believe that finding a tradesman should be simple, that's why we have included our find a tradesman search on the website. What's more, our members have been rated on average 9.74 out of 10 by over 500,000 homeowners like you, so when you are searching for a member you can have peace of mind knowing they are one of the best in the country. You can even read reviews left by past customers about the contractor and request a quote right there - from their profile. All of this means you can easily find out more about the contractor and whether they are right for you and your contract needs. Are you in a rush? No problem - you can even request the contractors details as a text - straight to your phone. What is simpler than that?